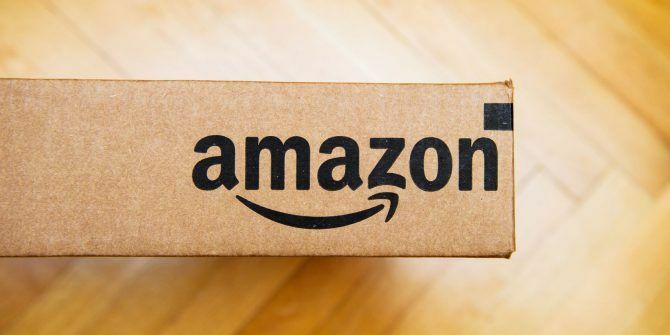 There are plenty of benefits 7 New Amazon Prime Benefits You Didn't Know About 7 New Amazon Prime Benefits You Didn't Know About You don't need Prime to benefit from Amazon. But Amazon Prime comes with a few lesser known benefits you may not have tried yet. Read More when it comes to using Amazon Prime, but if you use a little-known Amazon policy, you could get your Prime subscription extended for free. If a free two-day shipping package is late, Amazon Prime members can reach out to customer service and potentially get a free month added to their Prime subscription. This information used to be listed on Amazon’s website but has since been removed. Despite that, people are still benefiting from the policy, so it never hurts to ask. If your package delivery is delayed, go to the Amazon Contact page. Under What can we help you with, select An Order I placed. You should see your most recent order. If that’s the late order, check the little box next to your delayed shipment. If it’s not, you can click Choose a different order to select the missing package. Under Tell us more about your issue select Where’s my stuff from the dropdown menu. For Select issue details you can opt for Shipment is late. Once you’re on the line with an Amazon representative, you can just let them know that your package is missing. When we tested this out ourselves, we received a notification that a package we ordered with free two-day Prime shipping had been delayed. We reached out to Amazon on the day it should have been delivered using the steps above, and chose the chat option. Without even mentioning the free month policy, the customer service representative offered to add one free month to our Amazon Prime subscription, and applied it to the account while we were on the line with him. For those of you who have paid for shipping, Amazon also provides a guaranteed shipping refund if your delivery is late, with some exceptions. To request a refund, you can go through the same steps listed above for free Prime shipping. Have you had any luck getting your Amazon Prime subscription extended because of late deliveries. Share your experiences with us in the comments. I contacted Amazon immediately upon learning that my order was not arriving as promised. After listening to the Amazon rep’s explanation, I hinted the fact that I needed the product (eye drops) badly. He then said that it might be possibly delivered a day late but no guarantee. At this point I casually asked about the 1 month extension but he said that that offer was no longer available instead he was giving me a $5 voucher applicable to future purchase. I said that if the product arrives the next day, the compensation was fine otherwise I’ll be calling them again. With that said, I thanked Amazon’s service. In fairness, I’m a very satisfied Amazon customer. And the reason for the delay is quite understandable- the polluted air situation due to the fires here in California. I was just told that this is no longer an option. The Amazon rep I spoke with said that this option was taken away last week. I was able to get the extension of my prime account. My situation was slightly different though. My shipment wasn't actually marked as delayed. Instead, while outside in my front yard I got a notification that my package was delivered. No delivery truck ever came by my house. Since this isn't the first time it's happened, I decided to ask for the extension, and my rep extended my prime membership by 1 month. I have tried this, on probably 5 or 6 different occasions when a Prime item I ordered was either delayed or not delivered on time. Amazon has gotten pretty bad lately with shipping, they used to be fantastic, but lately I've had a lot of late shipments with Prime. Every time I reach out to their chat support, the best they can do for me is (request an update on the tracking number) and there is nothing they can do other than to go after UPS to attempt an earlier delivery. No refunds, credits, or anything like that.